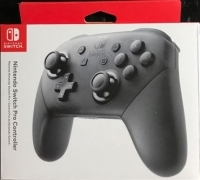 The Pro Controller is a classic grip-style wireless controller that provides an easy to hold, extended game play experience with the Nintendo Switch system when playing in either TV mode or tabletop mode. 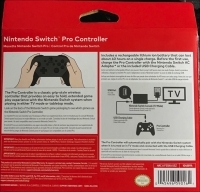 Look at the back of the Nintendo Switch game packaging to see which games use the Nintendo Switch Pro Controller. Includes a rechargeable lithium ion battery that can last about 40 hours on a single charge. Before the first use, charge the Pro Controller with the Nintendo Switch AC Adapter or the included USB Charging Cable. 04-01-2017 aliensstudios Box Text Nintendo Switch Pro Controller The Pro Controller is a classic grip-style wireless controller that provides an easy to hold, extended game play experience with the Nintendo Switch system when playing in either TV mode or tabletop mode. Look at the back of the Nintendo Switch game packaging to see which games use the Nintendo Switch Pro Controller. Includes a rechargeable lithium ion battery that can last about 40 hours on a single charge. Before the first use, charge the Pro Controller with the Nintendo Switch AC Adapter or the included USB Charging Cable. This is a list of VGCollect users who have Nintendo Switch Pro Controller [NA] in their Collection. This is a list of VGCollect users who have Nintendo Switch Pro Controller [NA] in their Sell List. 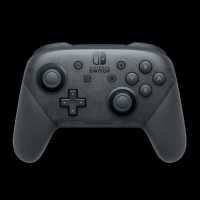 This is a list of VGCollect users who have Nintendo Switch Pro Controller [NA] in their Wish List.